Fall also means the start of production on a few of our favorite things! This is a favorite tool to keep personal, school, and work life organized to a tee. Whether it is an academic planner, a yearly planner, or a bullet journal, planners are a great way to stay organized and start fresh in the new year. Many options include perfect bound or spiral bound, lined or grid style, weekly or monthly layout, whatever best suits your needs. Another organization tool that also becomes very popular and a great gift option is a calendar. The most commonly produced option is a wall calendar, however desk calendars are also a great resource for tracking major events, birthdays, anniversaries, and day-to-day activities. 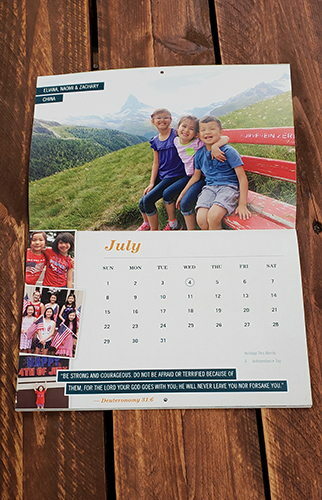 They provide a great visual, can showcase family photos, and promote your organization or cause. Although they aren’t usually sent out until early to mid-December, Holiday Cards are in the beginning stages of planning and production starting in Fall. 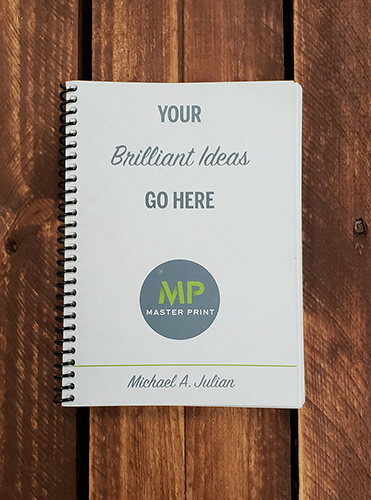 Some of our favorite and most memorable pieces include features such as foil stamping, die-cutting, embossing, and printing on specialty stock. People love to receive a personal message in a card worthy of being on display! Interested in having any of these produced or want to know more about our capabilities? We can help! Click here to contact us.